They did it in playgrounds. They did it in festival campsites and nursing homes. And now they’re not doing it anymore. Except for on Fridays, after necking two bottles of tonic wine and a wrap of inscrutable crystals that were discovered inside a johnny pocket following a lost weekend in the ‘Dam. I’m talking about planking of course, the urban craze that was started by the Brits and claimed by the Aussies before being reclaimed by the Brits once more. Planking is The Ashes essentially, the only difference being that lying motionless in a prostrate position is far more exciting than a game of cricket. Edinburgh Uncovered didn’t invent planking any more than it invented the concept of using extremely crude language to describe extremely illustrious establishments. Nevertheless, this blog would like to think it’s done its bit to spread the planking phenomenon around Auld Reekie and indeed the rest of the world. A fortnight ago, we challenged you to ‘outplank the plankers at EU’ and you duly obliged, deluging us with submissions from such sunny climes as Brazil, Chile and, erm, Dunfermline. To those who planked in the name of Edinburgh Uncovered, we commend you. Your altruistic deeds have benefitted mankind as a whole and may well lead to future breakthroughs in the fight against cancer, HIV and boredom. And to those who died whilst attempting the plank to end all planks; we raise our glasses to you. You are gone, but not forgotten – until next week at least, when we turn our attention to some other urban phenomenon. 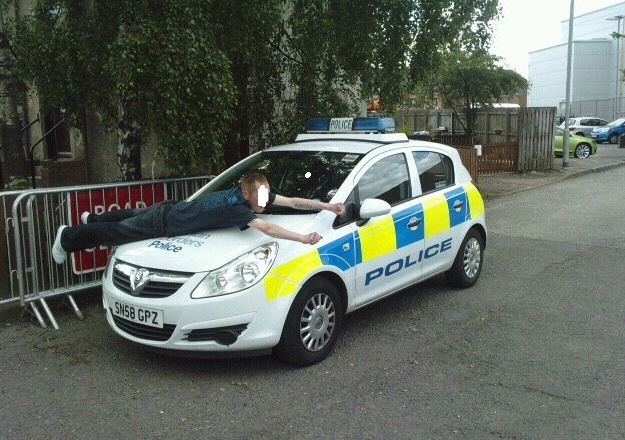 Now that planking is out there, on the streets and in the sheltered housing complexes, we feel we are ready to take an indefinite hiatus from planking. We’ve done our bit, and thus it is with heavy hearts and horizontal stomachs that we announce our retirement, Michael Jordan style, from the game. Just like MJ however, we reserve the right to return at a future date, to clinch the planking play-offs and sign a few lucrative endorsement deals before slipping back into our post-planking dotage. The highlight of our short-lived yet prolific planking career was undoubtedly the article which appeared on The Scotsman’s website, featuring the wise words of Edinburgh Uncovered. If we’ve helped even one impressionable youngster plummet to their untimely death, our endeavours will not have been in vain. The Scotsman noted how EU depicted ‘teens planking in the Meadows’. Sadly, I must confess that it has been some time since my planking colleagues and I have been ID’d on account of our teenagerish looks. (Well, there was that under-16s disco we got ID’d trying to crash, but that’s another story.) For the record, our youthful appearance is the consequence of rubbing pile cream into our skin every morning and gargling with hymen extract at night. 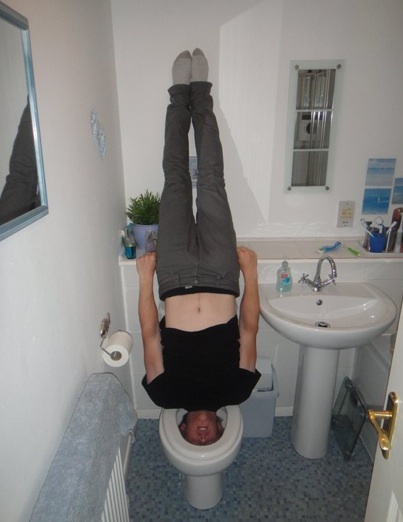 Now that planking has gone viral, it no longer require’s EU’s assistance. Like a child glancing round to discover that daddy stopped holding onto that bike 50 yards ago, planking has flown the nest. 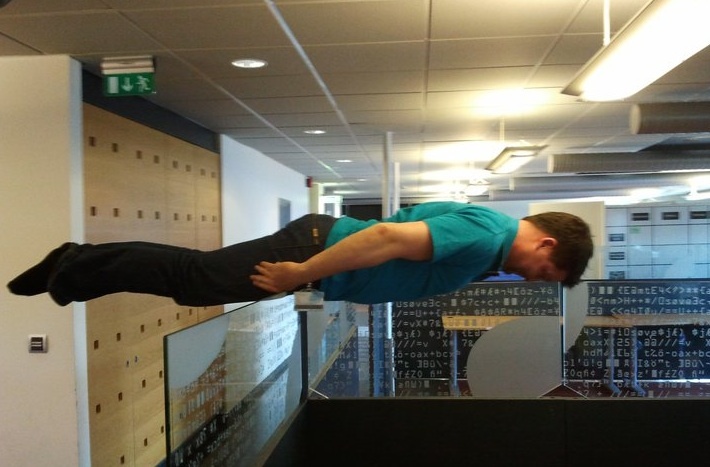 This is the last planking piece we will ever write, unless of course someone sends in a ridiculously awesome plank, in which case this certainly isn’t the last blog we’ll be posting on the subject. For a short while, planking came into our lives and gave us joy and hope. It showed that every man, woman and child can make a meaningful contribution to society. It doesn’t matter how short or tall you are – when we’re lying face-down, planking like a mother-f***er, we’re all the same in God’s eyes. 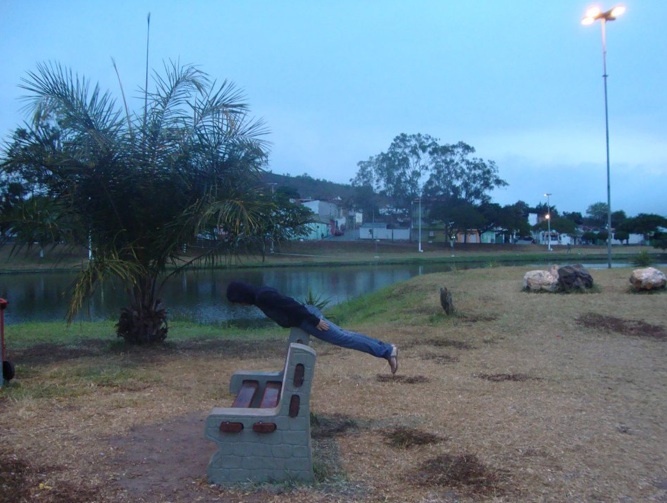 Planking is a great leveler. A final thought for the day then, before we go our separate ways and return to doing whatever it is we used to do before being bowled over by the lure of horizontal street surfing: Planking isn’t a man lying prostrate upon a bridge or teetering over a precipice. It’s not a bunch of drunken students larking around atop a phone box. 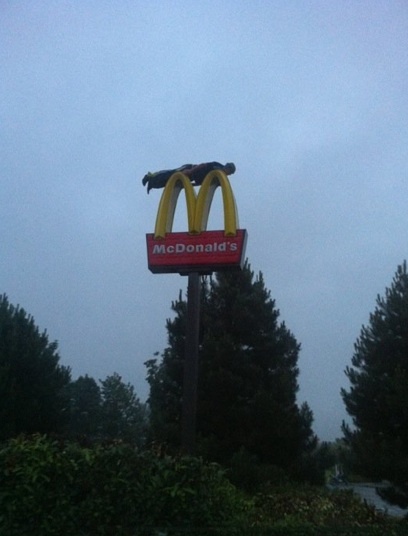 Planking is a part of each and every one of us. It’s in our souls and it will be with us forevermore. Amen. If you’re not completely planked out after reading this, visit Planking Scotland or Edinburgh Planking for more horizontal high-jinks.